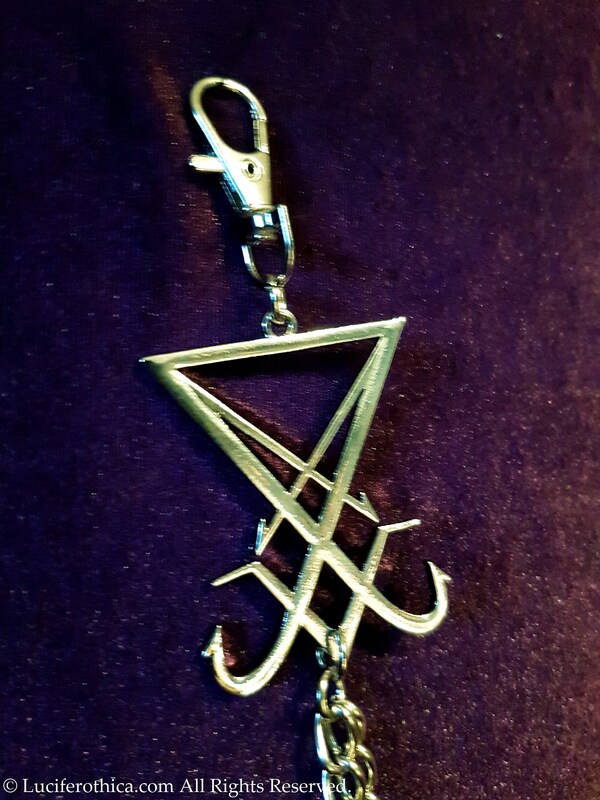 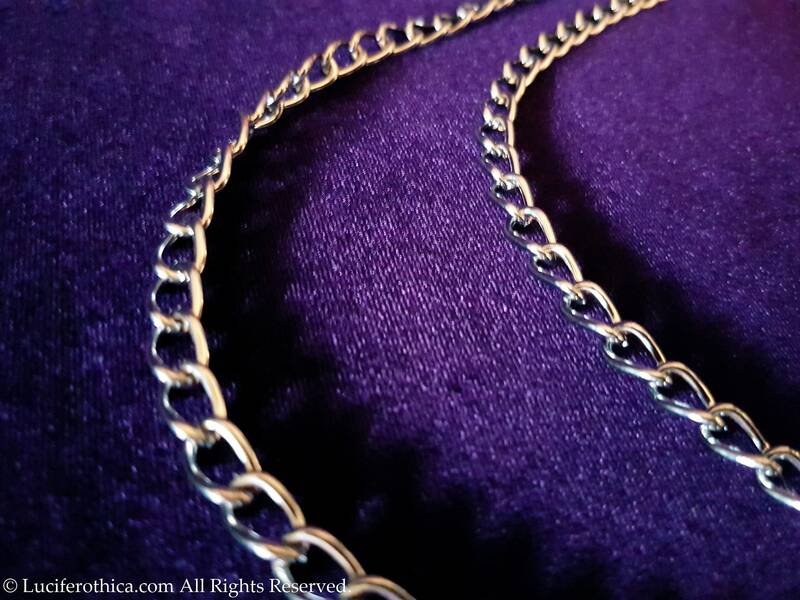 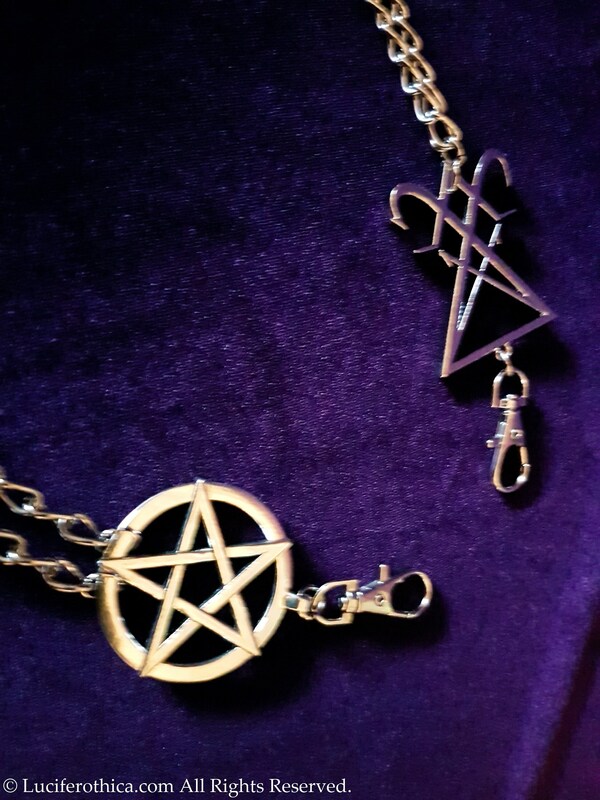 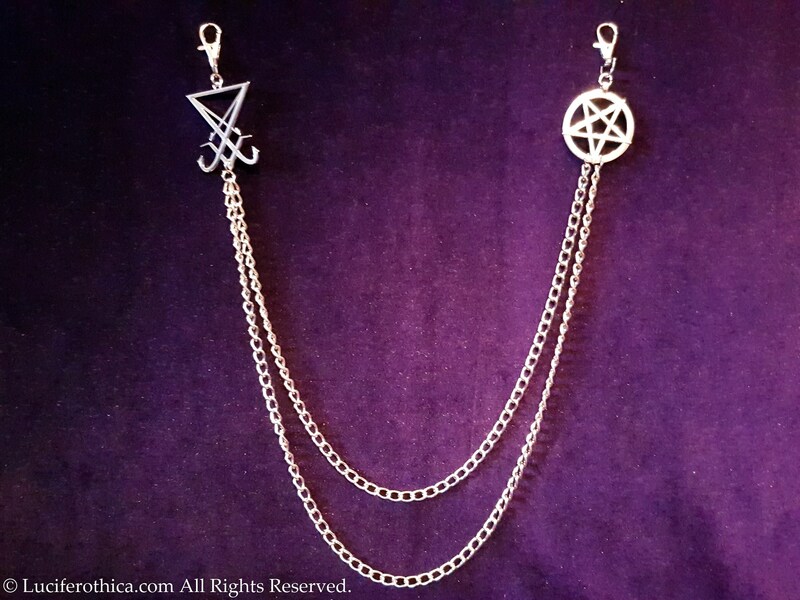 Sigil of Lucifer Pentacle Wallet Chains. 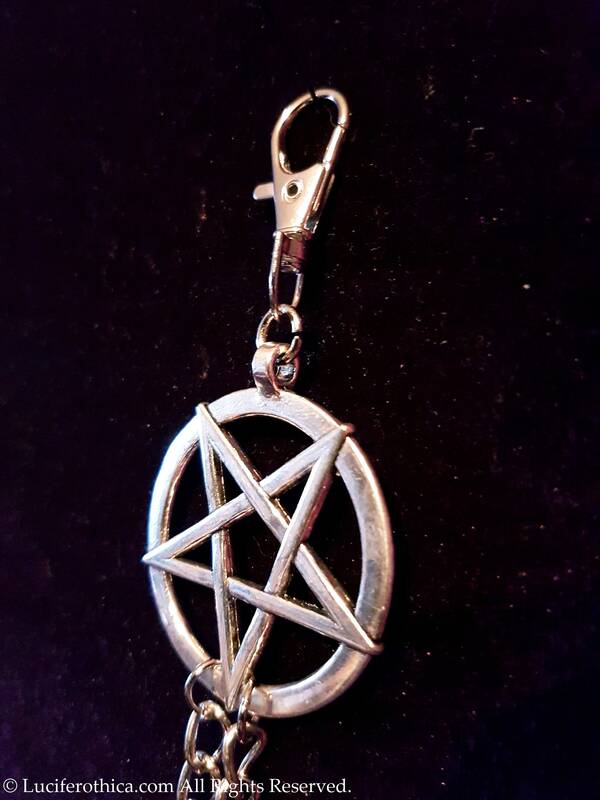 - Keychains are 69cm & 75 in total lenght creating two arcs. 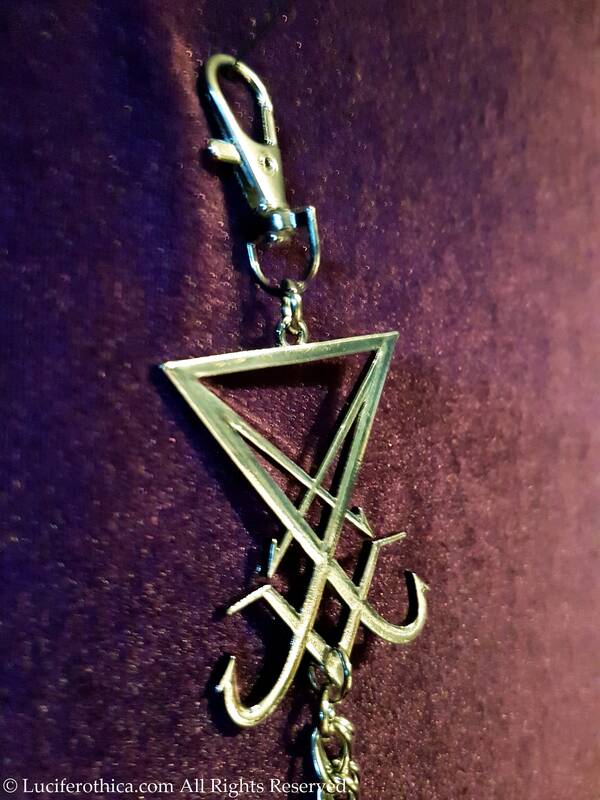 - Sigils of Lucifer is 5cm in lenght. 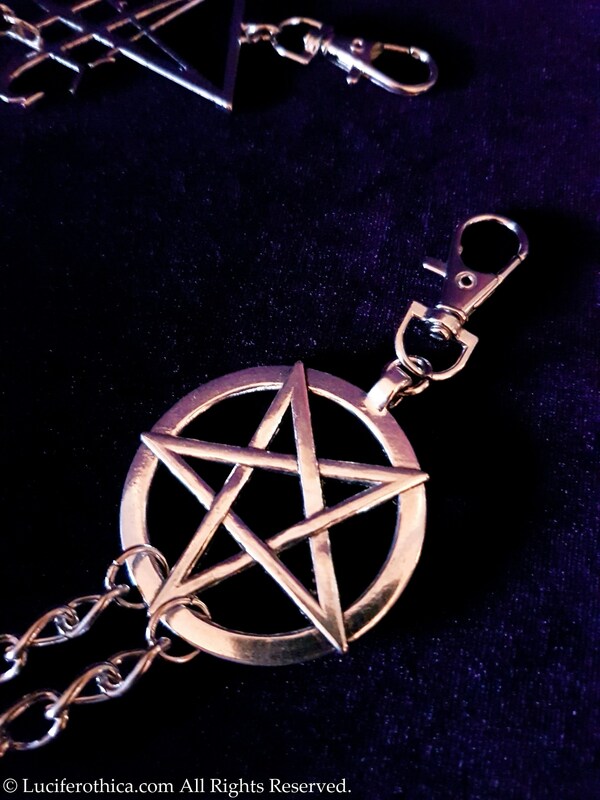 - Pentacle is 4.5cm in diameter. 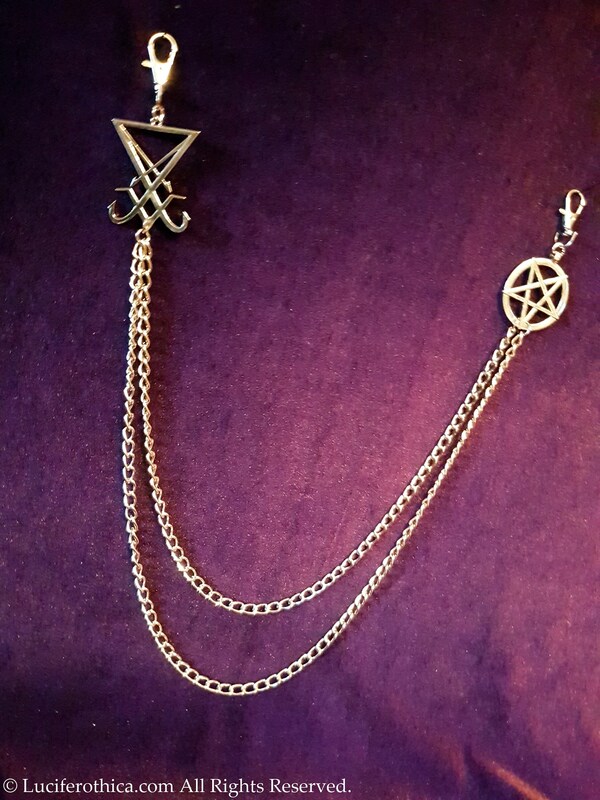 - A clasp at each end.